STS Gems Limited was founded in 1986 by our current CEO Sunil Agrawal, with an initial focus on the color stone operations. With 20 years’ effort on development, STS Gems now is performing a key role in Trading of Semi-precious, precious stones and contracted manufacturing of jewelry. 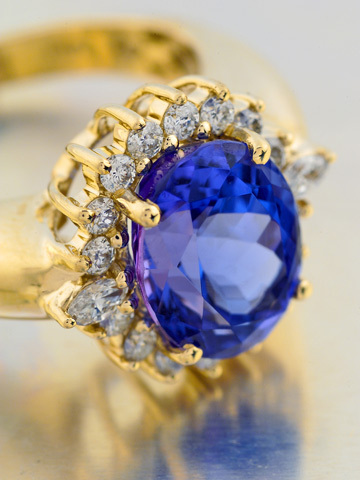 STS Gems is using the capabilities of Hong Kong-based designers and the cost efficiency of Chinese manufacturers for its special range of jewelry. Special work such as Opal Inlay is being carried out in Hong Kong. Besides the traditional Precious/Semi-precious jewelry processing business, STS also shows strong capability in engaging in lifestyle trading business in the recent years. With 1,000 vendors, STS has developed 7 product categories namely: Beads and Pearl Jewelry, Base Metal Jewelry, Steel Jewelry, Watches, Accessories, Jewelry Box, beauty and Home Decorations. It is still aggressively developing new categories. Aiming at providing the most delighting products to customers, achieving the lowest operating cost amongst all competitors and cultivating a learning and friendly working environment for employees, STS never stop taking challenges and continuously evolving in adapting to growth and lead the ever changing market. STS Gems Limited is a part of Vaibhav Global Ltd. (VGL), a public listed company based out of Jaipur, India. As an electronic retailer of discount fashion jewelry and lifestyle accessories, Vaibhav Global Limited (VGL) has enjoyed exponential growth ever since its inception. Today, the company has access to over 100 million households in US, Canada, UK and Republic of Ireland. We have a direct reach to our customers 24x7 on all the major cable, satellite and DTH platforms – Dish TV, DirecTV, Comcast, Verizon Fios, Time Warner, AT&T, Sky, Virgin, Freeview, Freesat etc. Our e-commerce websites, on the other hand, in the US www.shoplc.com and UK www.tjc.co.uk complement our TV coverage, while diversifying customer engagement.